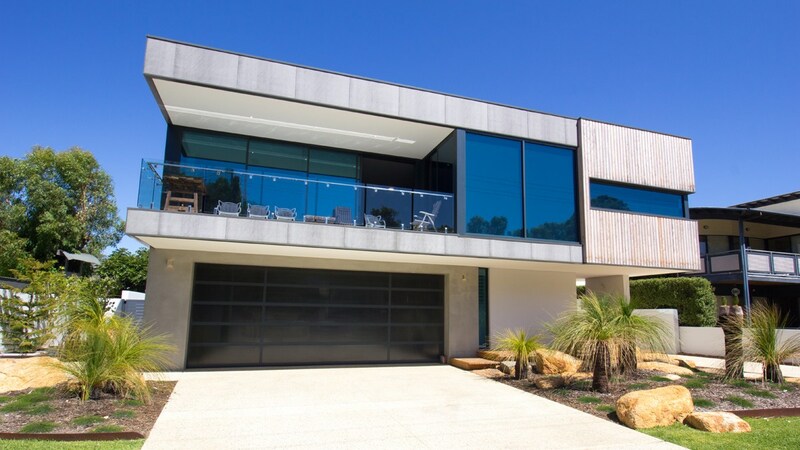 The owners of this contemporary beach house wanted plenty of space for entertaining family and friends, the pool is situated in the heart of the home so that it is protected from the elements. 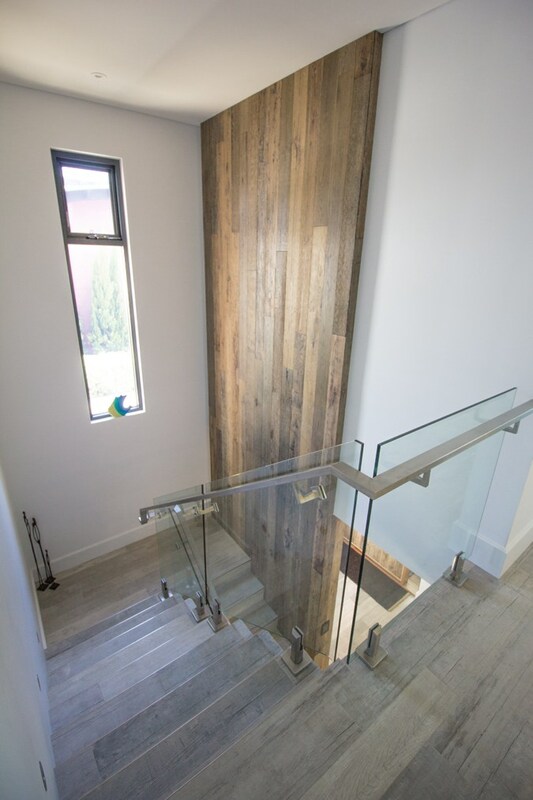 A key feature of this home would be the impressive timber feature wall starting from the ground floor foyer right through to the first floor ceiling, this was clad in barn oak which creates a great entry statement. 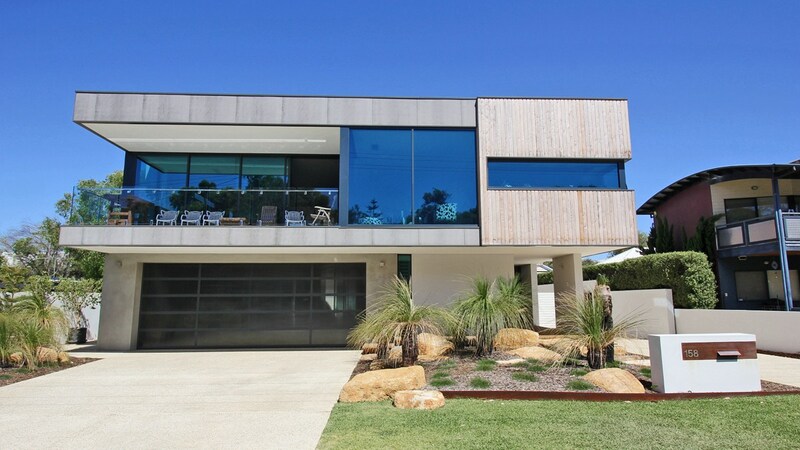 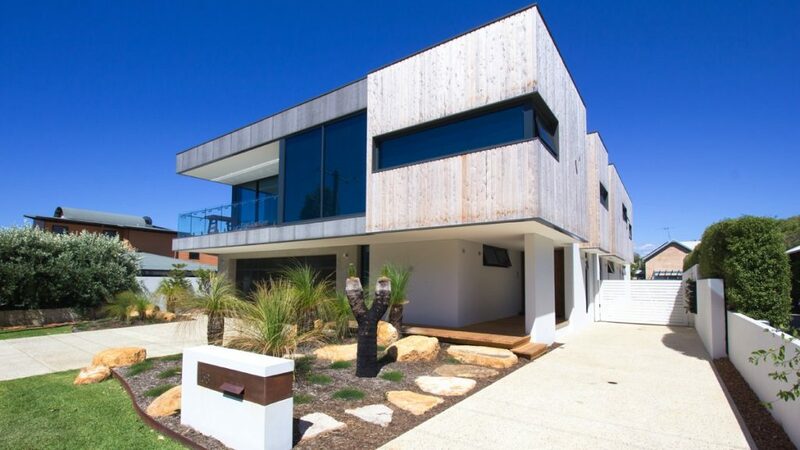 The modernist front elevation was designed with clean lines using a combination of cypress pine cladding, James Hardie Easylap panels and double glazed windows with a spectacular blue tint. 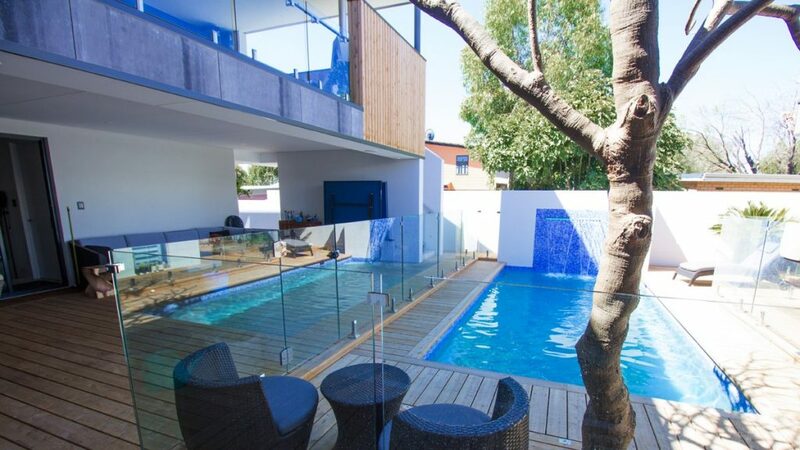 The Easy Lap has been left its original colour and sealed with a clear sealant. 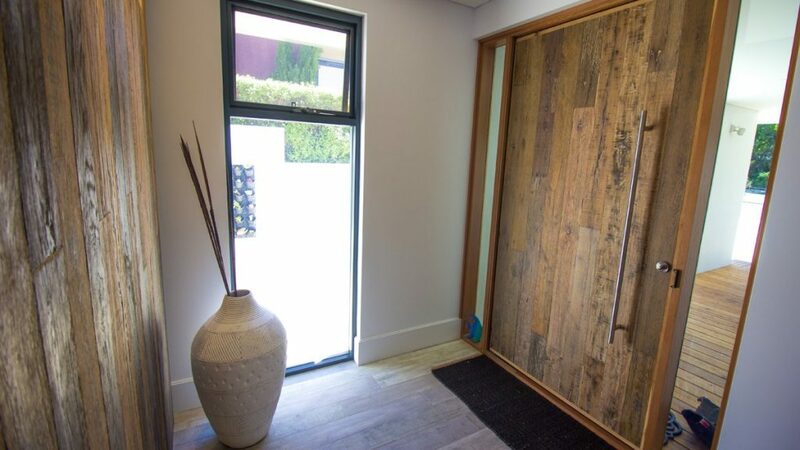 The cypress pine cladding has been left to fade to a natural silver-grey colour, this style of cladding was inspired by a local winery which the clients were fond of.